Today we are glad to announce the start of ArangoDB Online meetup. As our international open-source community is growing with every passing day, we keep getting requests from members around the world on doing a tech meet or a short demo on ArangoDB. Quite a few members have already taken the initiative of presenting at conferences and local meetups – big “thank you” for that! Adding to that effort, it’s high time that we all moved to that one place where we can all connect and everyone has a chance to give/ participate in a talk. And what better way is there to bring us all together than meeting online? 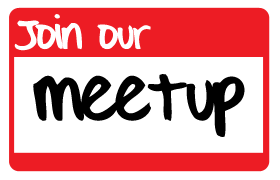 So, we invite you all to join our newly born ArangoDB meetup where you can meet other developers and engineers who are using, testing or are interested in learning more about ArangoDB. We will run a series of online talks presented by our developers on different subjects we think could be interesting. We would also like to welcome everyone from the community who wants to do talks, demos or coding sessions. The space will also be used to announce upcoming ArangoDB webinars, online training courses or spread discounts to conferences we sponsor. But, we need your help – let us know what you like. Propose topics that excite you, you are passionate and want to learn more about. Everyone willing to share their experience with ArangoDB in a short talk – get in touch and let’s schedule! Your thoughts, ideas and suggestions are welcome on Community Slack #meetup channel or via our contact form. To give our Online meetup a nicer kick-off, we start with announcing an upcoming ArangoDB webinar. Join Michael Hackstein – Thursday March 30th 6PM CEST/12PM ET/ 9AM PT to learn more about ArangoDB. In this webinar Michael will share insights on the “Multi-Model” movement, talk about three data models of ArangoDB, do hands-on examples with AQL and stress what makes AQL more comprehensible for developers in comparison to SQL. He will also touch Foxx Microservices framework, showing how it works with a few exercises. Read a full abstract here and make sure to join us!